Liquorish wine (dry), produced by Cooperativa Vitivinícola da Ilha do Pico. This very special generous wine comes in a direct line from the famous "Verdelho" that carried the name of Pico Island to the most refined tables of America and Europe, as far as the court of the Tsars of Russia. Ir arises with a new look, but its essence and richness are as authentic as they used to be, with traces of personality no oenology treatment could ever imitate. 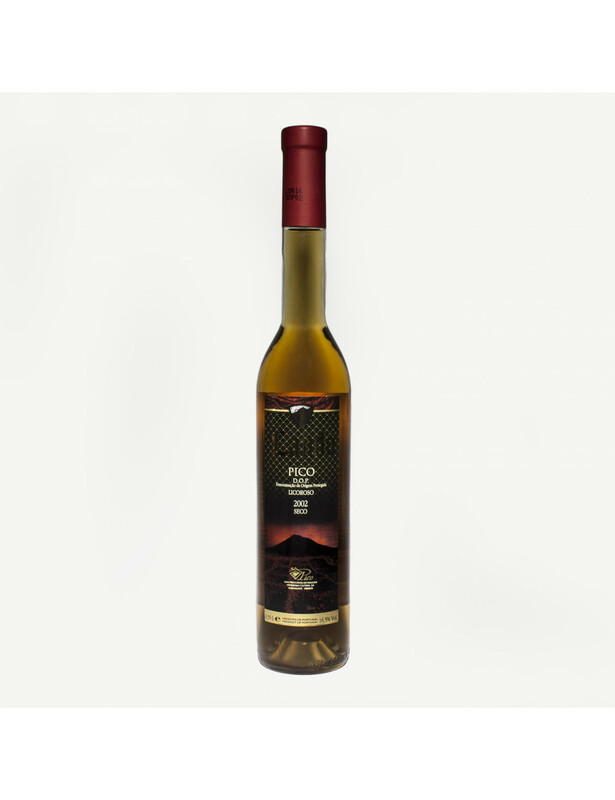 In a place that deserved the honorable classification by UNESCO as a World Heritage Site, it's the lava in which it matures, the proximity to the sea and the hard way that it's produced, that gives this wine its unique taste and characterizes as an unmatched in the world. Clear look, deep golden yellow colour, with a lot of substance. Special winy bouquet, complex and spicelike. Strong and persistent. Warm and dry. Soft, round and evolved. Distinguished whole. Suggestions: Enjoy slightly chilled, 8 to 10° C, as an aperitif or with not too sweet desserts.